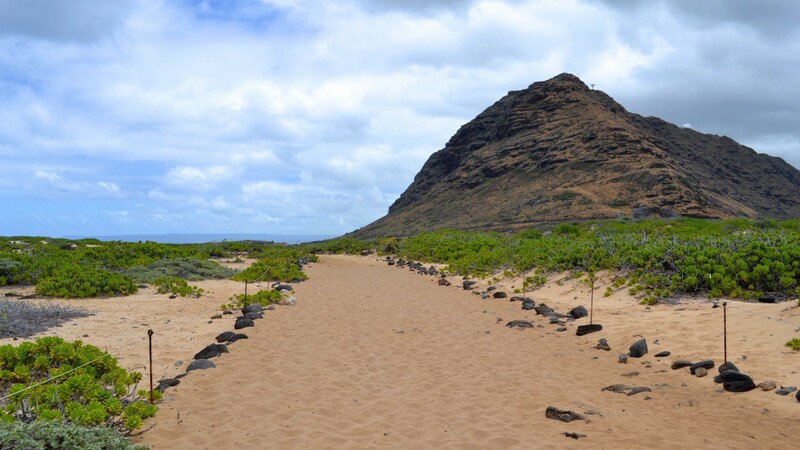 * Park at the end of the road in Mokule’ia unless driving a 4-wheel vehicle. 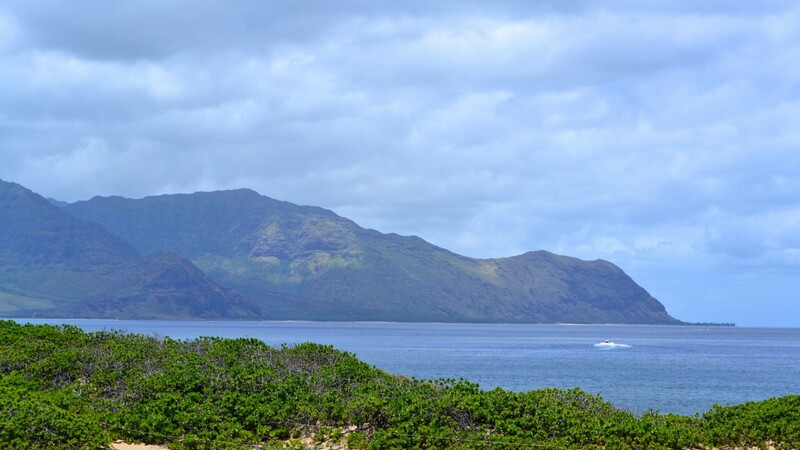 Located on the westernmost tip of O’ahu’s north shore, Ka’ena Point is a beautiful and remote protect area. 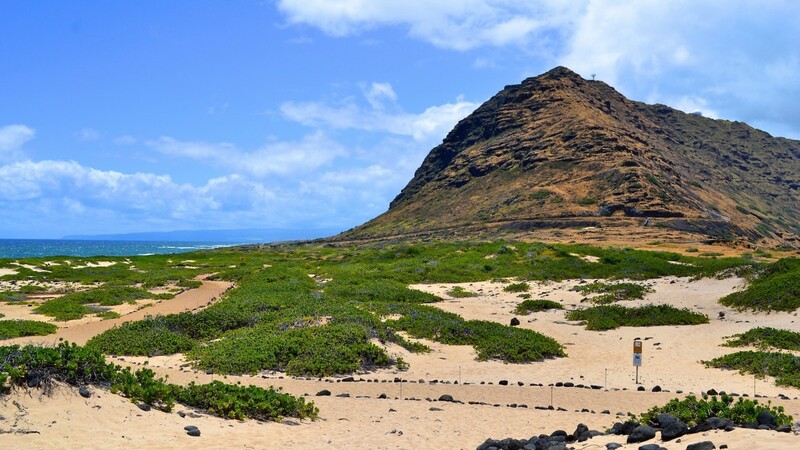 This 59-acre Natural Area Reserve is well-managed by Hawaii’s DLNR, preserving the unique sand dune habitat for native birds and plants. Stroll along the sandy paths to the water’s edge and chances are you will see Hawaiian monk seals sun-bathing on the rocks. During winter months, be sure to keep your eyes out for whales passing by, as they frequent this shoreline. 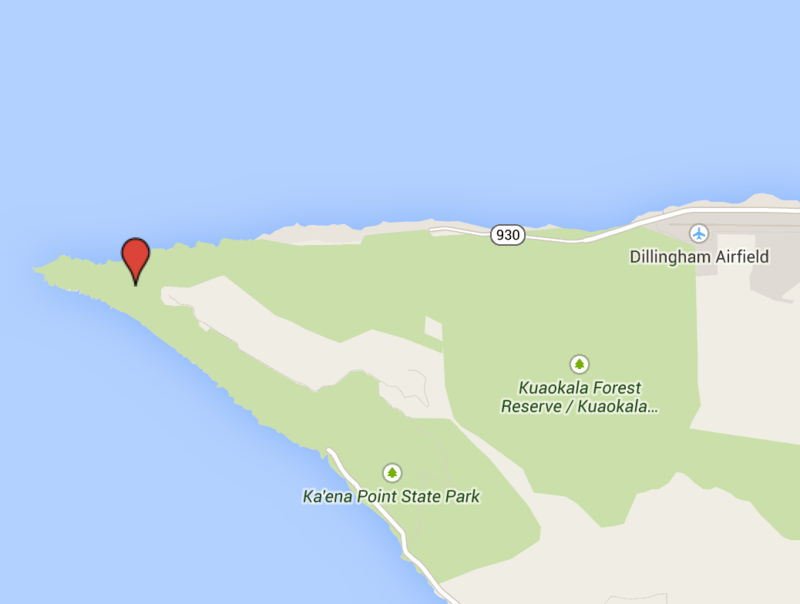 There are two ways to access Ka’ena Point. Our preferred path is from the Mokule’ia side on north shore. Off-roading vehicles can manage along the rough dirt road, but if you do not have a 4-wheel drive vehicle, do not attempt. Walk from the parking lot along the dirt track and after about 2 miles, you will come across a protect area gate. From here the path stays along the coast and the dirt turns to gorgeous sand. You can also find access from the west side (please see directions below). We recommend starting early in the day, and make sure to bring sunscreen and water with you, as this hike is in direct sunlight the entire time – there is no shade. 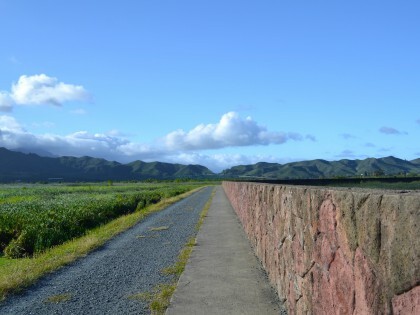 By car: To access from the Mokule‘ia side, take H-2 to Kaukonahua Road (Route 803) to Farrington Highway (Route 930) past Waialua and drive until you reach the end of the road. If you have a 4-wheel drive vehicle, follow the rough dirt track. If not, park in the lot and proceed on the dirt path on foot. 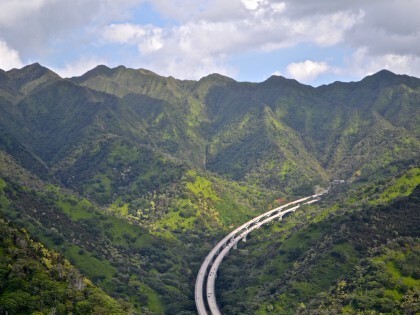 To access the Wai’anae end from Honolulu, take the H1 west until it turns into Farrington Highway (Route 93). Keep driving as far as you can go and then proceed on foot.